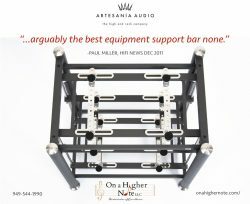 Artesania racks are superbly well built and they sound fantastic; by lowering the noise floor on your system, they bring out the inner detail you have been missing up until now. 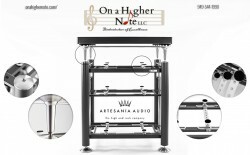 Bass is tightened up and more clearly defined. 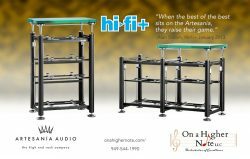 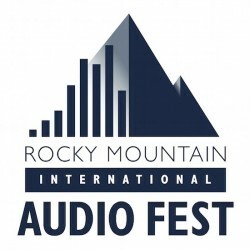 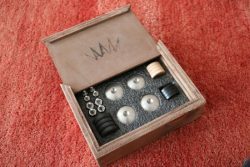 We are pleased to announce we are partnering with Artesania Audio to begin distributing their exquisite equipment racks. 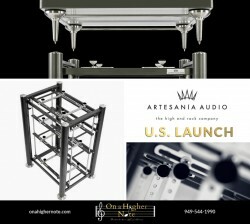 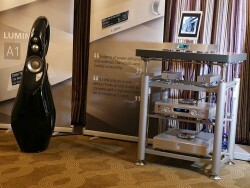 Artesania Racks can be seen in action in several rooms at the upcoming CES in January.